Step 1: Unzip the downloaded firmware file, you will get a .tar.md5 file. Step 2: Download Odin3_v3.04.zip and run the Odin exe to launch the app. Step 4: In Odin, click on PDA button, then select the .tar.md5 file (from step 1). Step 5: Click “Start” button in Odin to kick off the process. That’s all you need to do. Now wait till the process is complete. Your device will the reboot. Once it boots up, navigate to settings > about to check. 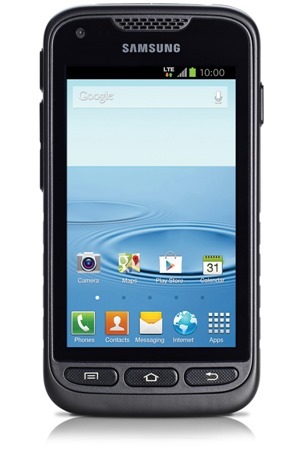 The firmware I547CVLUAMC1 should now be installed on Galaxy Rugby device of yours. Enjoy! For a detailed step by step guide, head over to the following link: how to flash stock ROM using Odin. Unable to download Bell Canada: http://www.hotfile.com/dl/200905170/ce9500c/I547CVLUAMC1_I547COYAAMC1_BMC.zip.html sends you to hotfile.com which is closed…. is there another link that isn’t broken to this file? I need the pit file.